Is Cosmetology a Form of Art? Art is associated with the freedom of expression and it can be seen in everything that you do. There are many ways that you can create art even if it’s not through the traditional way like painting or drawing. Today, many people use different mediums to express their emotions to create something unique—this can be considered as art. 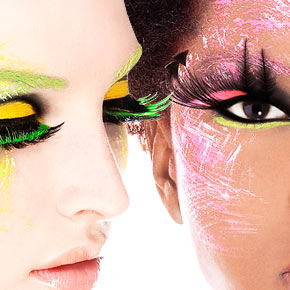 Cosmetology is the process of using make-up to transform a person’s face into something different. There are many make-up techniques involved in making art and a cosmetologist use different colors and materials to create his work of art by using a person’s face as a canvas. Just like painting, cosmetologists also use different kinds of brushes, palettes and colors. If you see a professional cosmetologist at work, you can see that they are very focused and passionate about what they are doing. The end result is, of course, very beautiful and this is why most cosmetologists are hired to work with celebrities and models. If you want to see their work in action, you can try to watch fashion shows and you will also be captivated by their work. Being a cosmetologist is not easy but it’s also not impossible. If you are an artist that wants to try a different career that still involves creating masterpieces, you can enroll yourself in a cosmetology school to start learning. Learning in a cosmetology school won’t really be as expensive as going through regular college, here are some of the top schools that you can choose from. This is one of the most popular cosmetology schools today. The institute offers cosmetology as one of its main courses. They also offer financial support for students who are having trouble with their tuition as well as flexible schedules and job opportunities when you graduate. There are many Aveda salons in the United States and you can have a huge network of professionals if you choose to study here. They also offer continuous education with their connections in Berlin, Toronto and New York. This includes business classes where you get to learn about putting up your own salons. You also get to hear leading professionals talk about their experience and their work. This school has been in the business for more than 70 years. They also have cosmetology schools in more than 20 states making it a good choice to get your education from. Many of this school’s graduates have gone to show business or opened salons all over th world. The school’s main goal is to help you get your dream job after you graduate. That’s why they help all their graduates with job placement opportunities. Paul Mitchell specializes in hair dressing and has worked everywhere in the world. However, with his schools, he also offers cosmetology courses and provides top-notch education to his students. This school is known to have high end results and most graduates have worked in the high fashion industry upon graduating. Taking their cosmetology course will expose you to many different techniques and products use in today’s fashion industry.